Little, Brown Books for Young Readers, 9780316043458, 32pp. Saying 'I Love You' in sign language feels good. Having a ladybug land on your hand feels good. Making a new friend feels good. 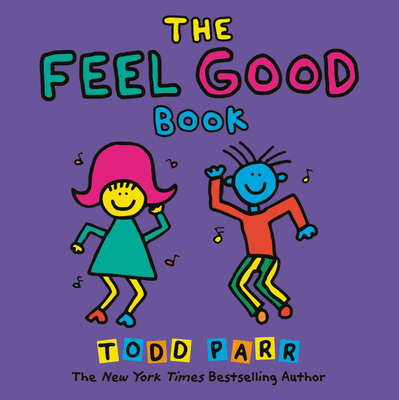 Todd Parr celebrates all the feel-good things that tickle kids and adults alike, from rubbing noses and rubbing a dog's belly, to giving a great big hug, and seeing fireflies outside your window. With Parr's trademark bold, bright colors and silly scenes, children will be inspired to feel good about things they do every day. Targeted to young children first beginning to read, this book will inspire kids to celebrate the range emotions that make them feel good.